UPDATE: The free PDF version of this learning guide is now available on Telerik.com. Can you post a link to the "free PDF version" - there's nothing listed under ORM in the Documentation section. Hey guys- Link is coming. I didn't realize the PDF wasn't linked on Telerik.com yet, but it will be there soon. I'll update this post when it's live. Sorry the delay. Okay... there is a mistake, PDF link is for AJAX controls. Zip link is the good one. @Gregory - You're on top of things. 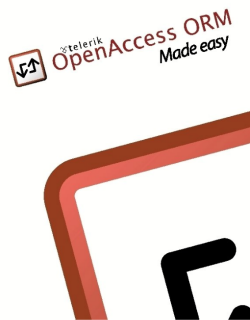 The PDF was just posted to Telerik.com, so thanks for sharing the link. I've informed the web team that the PDF link needs to be fixed, so that should be correct soon. I'll also update this post with the link. New Poll: Do you use Twitter?